Billing disputes with restoration vendors often involve a common scenario – a water loss prompts an insured’s frantic call to a mitigation company for emergency services. The vendor retained completes the dry out and bills the insured for the work per the contract. The adjuster assigned to the claim receives the bill which is significantly higher than expected. According to Roberta Winston, managing partner at the San Diego law office of Berger Kahn, because an insured is dealing with an emergency situation, a vendor is often hired before the claim is even reported, making it difficult to negotiate pricing after the fact. “[It’s] hard for a claims person to negotiate with them,” Winston said during a session on the subject held at the Combined Claims Conference in Long Beach, Calif.
1. Gathering additional facts from the vendor, including drying records and materials used. 2. Interviewing the policyholder to determine if the vendor was really there during the billing times noted and confirming the equipment billed was on site. 3. Adjusting an estimate as needed. 4. Attempting to negotiate a settlement on the merits of the bill. 5. Paying the undisputed or negotiated amount to the insured and sending a letter explaining the reasons for the dispute. Don’t assume that in all cases, the vendor is trying to get away with overcharging. Sometimes the insured interferes with the mitigation process by turning off equipment, Winston said. “[There are] very few companies that repeatedly, chronically have this problem,” according to Jim Holland, CEO of Sacramento-based Restoration Consultants Inc. and executive director of the Cleaning and Restoration Association (CRA). He said billing errors sometime occur as a result of a mistake. Recurring mitigation issues include the category of the water, biocide use, air filtration device (AFD) use on category 1 water and equipment usage, the presenters said. According to the restoration expert, Category 1 may deteriorate to Category 2 or 3 for many reasons like contact with building materials, systems, contents, soil or contaminants. In addition, pre-loss property conditions matter when determining the water category, he said. That’s because contaminated water may be due to poorly maintained property or pet problems and grossly contaminated water may be due to an unmaintained property, severe pet urine, feces or even severe rodent infestation. Besides the type of water involved in a loss affecting billing costs, time is a concern, Holland said. “Physical removal is the primary method of removing any contaminant,” according to Holland. The terms mean the same thing and all perform the same function, said Holland. He sees the services, like biocide, overused or not applied appropriately. In structural remediation, he is starting to see air filtration devices (AFDs) listed on the billing of just about every single job. AFDs work by controlling airflow, making sure clean air flows through contained spaces and runs through a HEPA filter. Holland said there are performance limitations to improving air quality in a space. The capture zone is too small and the turbulent air created by the exhaust may do more harm than good. The presenters also warned of vendors defending charges by referencing the American National Standards Institute (ANSI)/Institute of Inspection, Cleaning and Restoration Certification (IICRC) S500 standard and reference guide for professional water damage restoration. According to Holland, just because something is recommended doesn’t necessarily mean it is part of the standard of care. When the standard states “shall” that means the law says so, he said. He recommended adjusters review the standards in order to address billing issues where a vendor may be incorrectly relying on one or more in its services. A vendor shouldn’t justify using a standard by saying it’s for their protection down the road, she said. “That’s what the vendor buys insurance, the policyholder shouldn’t be responsible for it,” Winston said. One more area where significant overcharging is seen is with replacement HEPA filters at $75 to $350 per filter. The experts said they are seeing this charge on every bill after every single job. According to most equipment manufacturers, HEPA filters should only be changed after 800 uses. Though there are primary filters that are changed after one day and secondary filters changed every three to seven days, they cost significantly less, Holland said. “This can add up to a significant amount of money,” Winston said. When evaluating vendor billing issues, Winston recommended considering whether the bill reflects a one-time issue or whether the vendor has a history of excessive billing. Adjusters should also examine the disparity between the vendor bill and the estimate. “The gap narrows the more claims you have,” Winston said. Other points to consider include whether the vendor has taken legal action against the insured and the likelihood the insured will cooperate in opposing the bill. According to Winston, policyholder cooperation is key in litigating billing disputes with vendors. 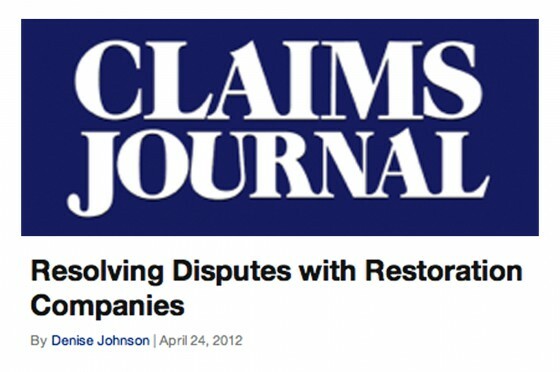 One way to maintain goodwill during a dispute is to remove the insured by willingly accepting their defense obligation in litigation.